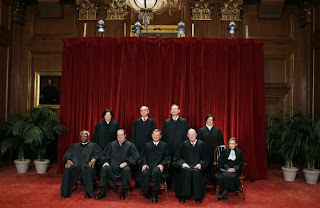 Ergo...my musings by Vivian: There Must Be Consistency by the Supreme Court ~ Corporations Are People Or Not! There Must Be Consistency by the Supreme Court ~ Corporations Are People Or Not! There Must Be Consistency~ Corporations Are People Or Not! The current issue before the U.S. Supreme Court involves the question as to whether corporations are people entitled to religious freedom with the right to opt out of certain provisions of the Affordable Care Act (“ACA”) a/k/a Obama Care. This article will not comment on the constitutionality of the ACA or my personal opinion regarding its implementation. The fact is, the ACA was passed by Congress and is being implemented. Critics should just accept that as fact and move on. My critique is the whole dispute as to whether corporations qualify as people. The answer should be either an unqualified “yes” or an unqualified “no”. It should not situational. The Court should not pick and choose which Amendments to the Constitution will identify corporations as people and which will not. Consistency is the key to legal authority. In Citizens United, the Supreme Court made the unfortunately flawed decision that corporations are people. In this instance, the Court must either decide in favor of Hobby Lobby and deem that Hobby Lobby as a corporation is a person with the right to exercise religious freedom and rule that the corporation has no duty to provide health care services that its religious beliefs find abhorrent, or overturn Citizens United- realize the error of its ways – and find that allowing corporations to contribute to political campaigns as people actually fosters corruption and the ability of corporations to unduly influence elections. 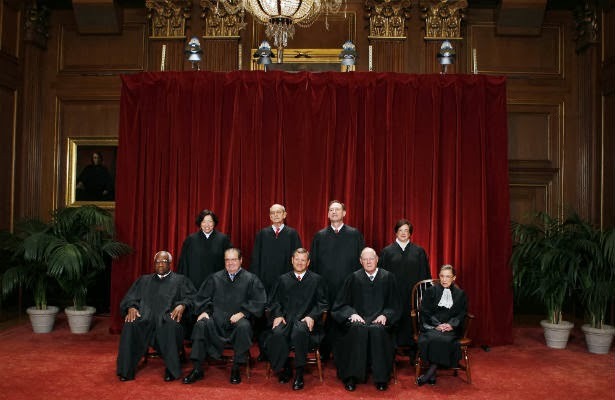 What will these 9 justices do? We as the American public rely upon the checks and balances of the Supreme Court to prevent the executive and legislative branches from overstepping their bounds. However, the individuals that make up the Supreme Court bring their individual political preferences and prejudices to the bench. Perhaps these 9 justices should reflect upon the prior errors of the Court such as the Dredd Scott decision and Plessy v. Ferguson and reconsider Citizens United. It is either that or allow Hobby Lobby to deny benefits legislated by the ACA to its employees.